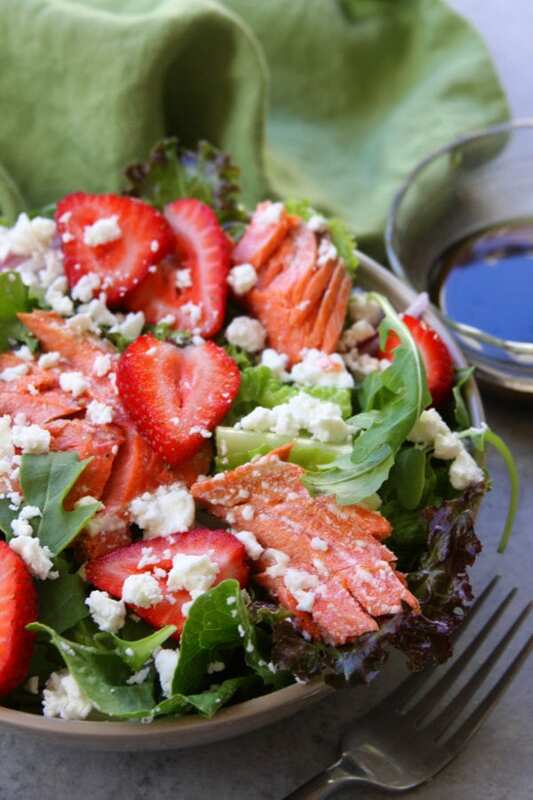 Simple Strawberry Salmon Salad is a quick and healthy recipe perfect for busy days. 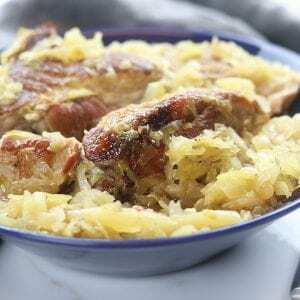 Comes together in under 30 minutes making it a favorite on hot summer nights. Since my husband Paul travels for a living he is sometimes gone for extended periods of time. When he returns home after being apart for so long, we always seem to celebrate with food. We cook, we bake, we do take out and we EAT. Oh my goodness do we eat. There comes a point where the celebrating that he is home has to stop otherwise I will have to roll myself from one room to another. I’ll be honest, I have some pretty mixed emotions about stopping the celebrating. On one hand I am not feeling the greatest eating the way I am and really want to have pep in my step again. On the other hand, why can’t I eat like a starved baby elephant? 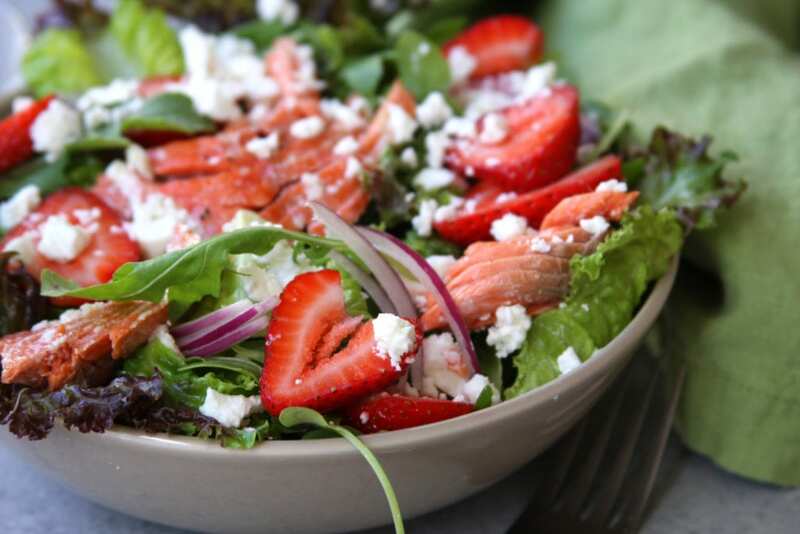 So here is what I do to get back on track, I eat meals that are not only healthy but taste absolutely amazing like this Simple Strawberry Salmon Salad. 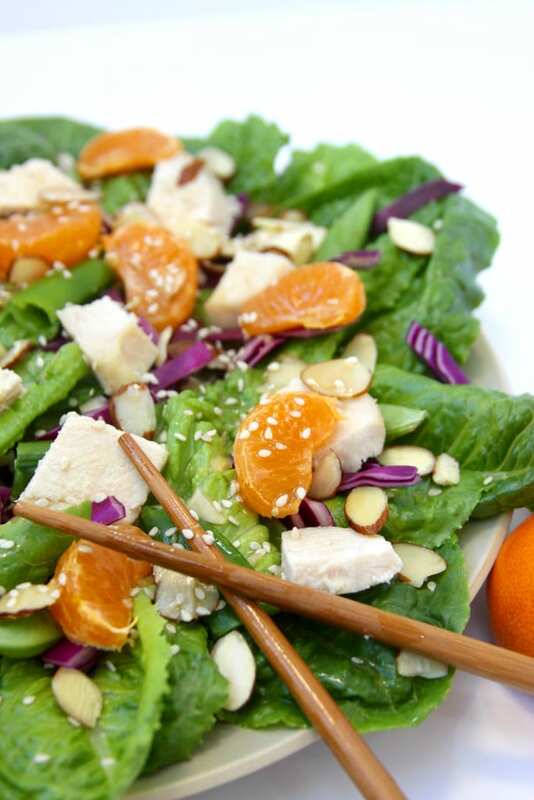 In addition, this beautiful salad is sooooooooooo incredibly easy to make. 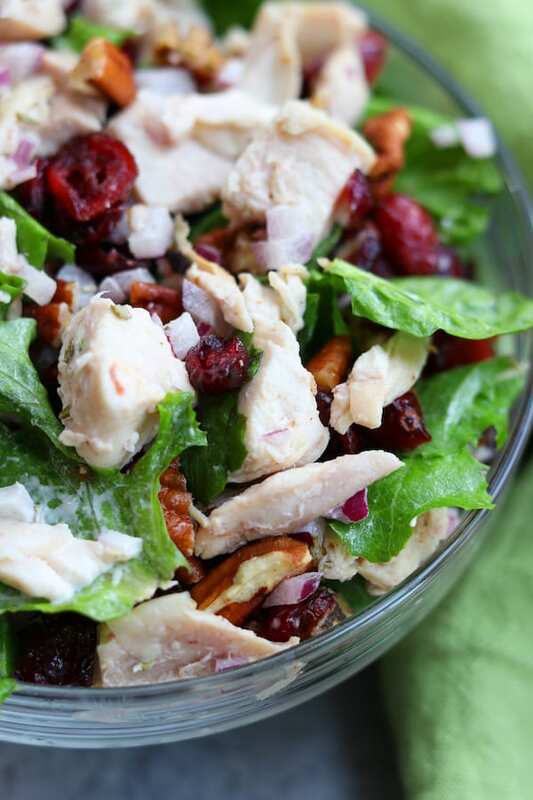 Use a combination of your favorite lettuces to increase nutritional density. I used romaine, red leaf and arugula. Butter lettuce, spinach, green leaf and watercress all could taste phenomenal also. 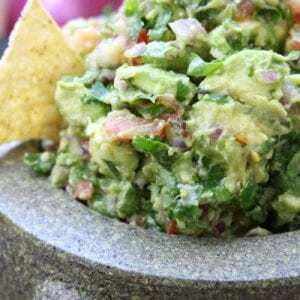 If you aren’t too worried about increasing fat content add toasted walnuts or almonds and avocados. 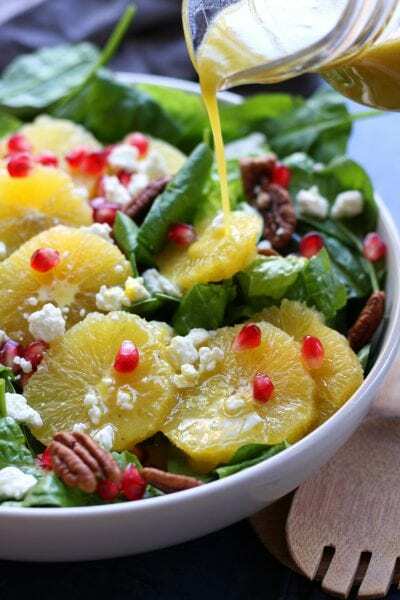 They will make this yummy salad even more flavorfully decadent. Let’s talk salmon. There has been so much talk about salmon in the news over the last couple of years between it becoming genetically modified to how polluted farmed raised salmon is. It is a hot topic where both sides have become highly heated. 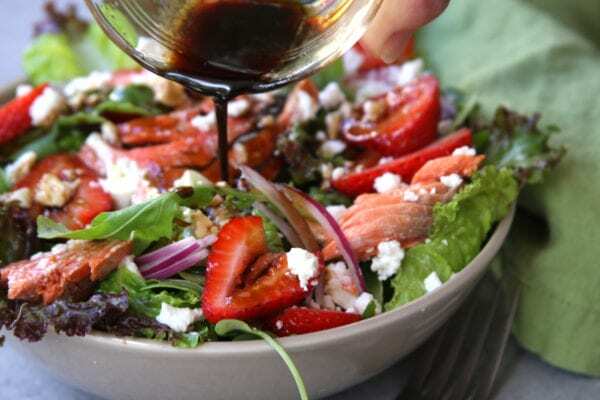 Here is what I believe to be the bottom line for the consumer, Wild Alaskan Salmon or Sockeye Salmon is the healthiest and safest to consume (1). These types of salmon can be a little pricer so when it is in season I stock my freezer because the price tends to be a little more affordable. 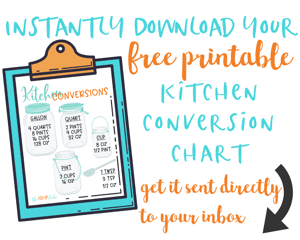 If my budget is a little lower, I use canned Wild Alaskan Salmon or canned Sockeye Salmon. 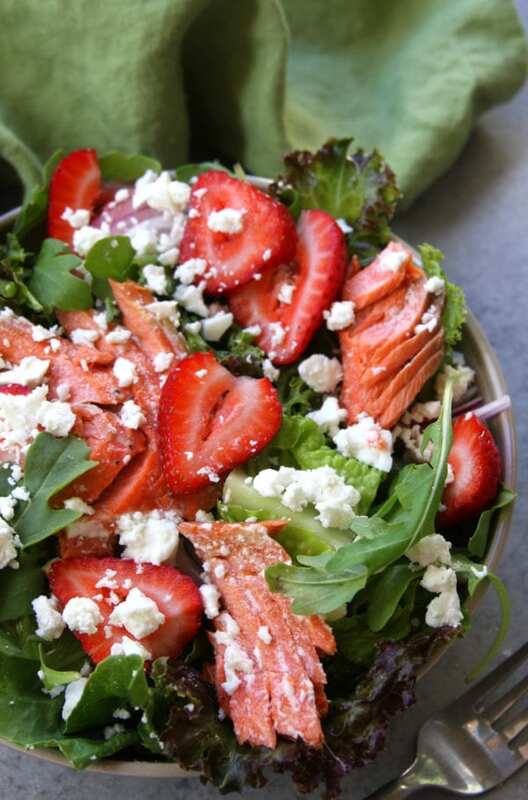 Not only is this Simple Strawberry Salmon Salad an easy dinner but it is perfect for packing as a quick and healthy lunch. 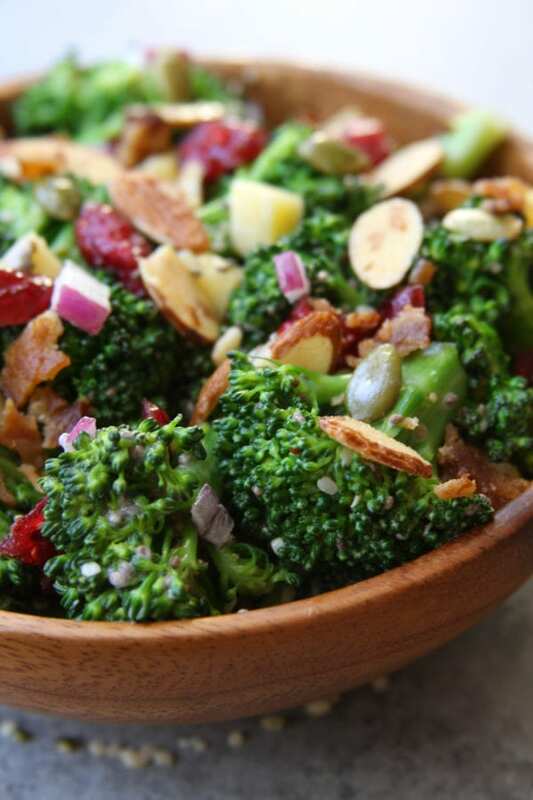 One additional vegetable that can be added that compliments this salad is steamed or grilled asparagus. 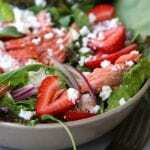 There is something about strawberry, salmon, asparagus and feta that just works well together. 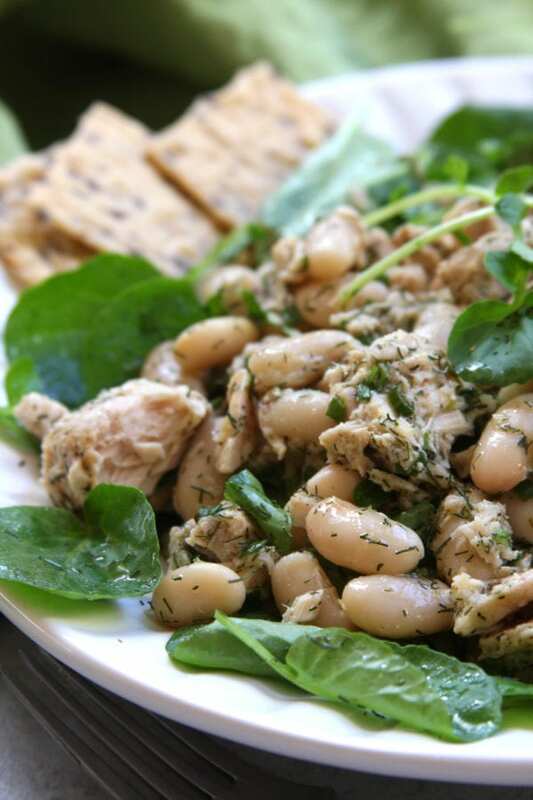 An easy, healthy and incredibly tasty salad. Line a baking sheet with aluminum foil and place salmon fillet skin side down on foil. 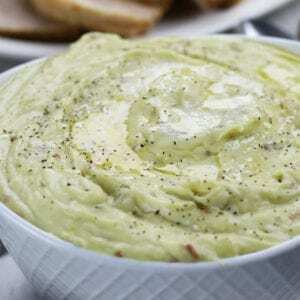 Drizzle with olive oil and sprinkle with salt & pepper or favorite seafood seasoning. Bake for 8- 12 mins or until the meats easily flakes. Watch salmon carefully so as to not over cook. Once cooked let cool slightly before placing into salad. In a large mixing bowl whisk together oil and vinegar. Prepare all remaining ingredients and toss.